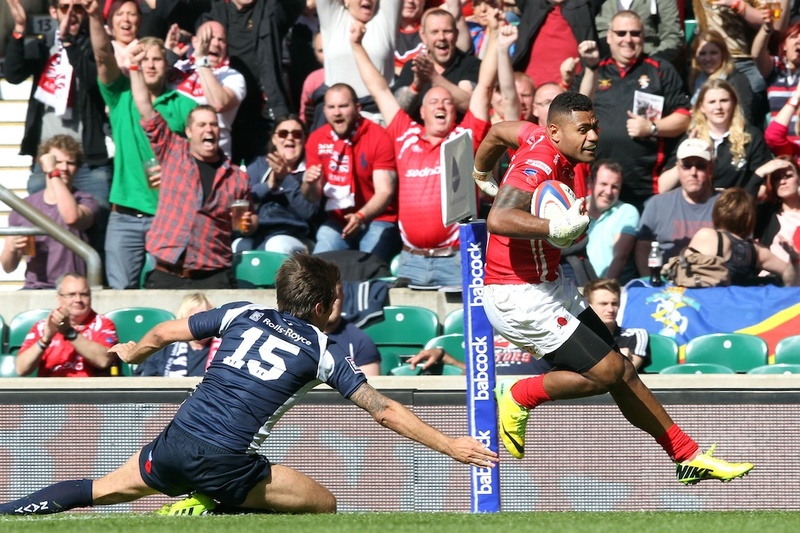 The Army entered Twickenham under pressure. Their defeat to a resurgent Royal Air Force meant that retaining their championship was beyond them. 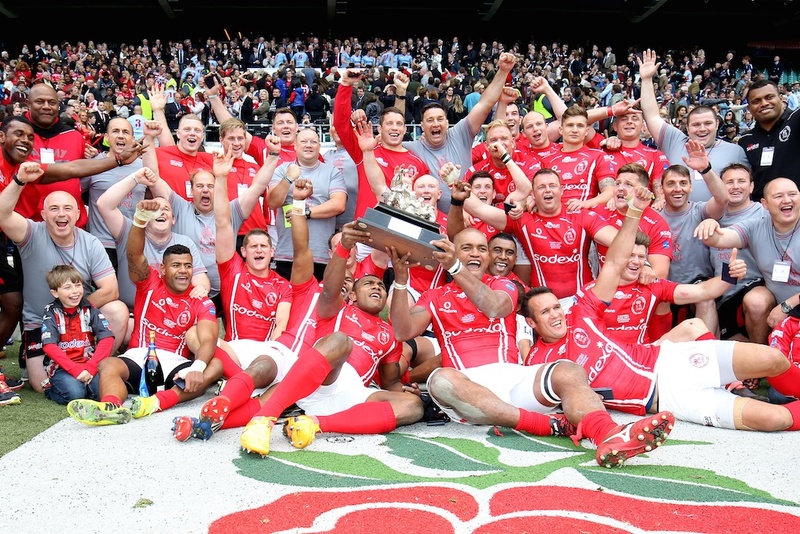 However, the Army Navy game remains a special occasion and there was sure to be a backlash at the 98th Army Navy match for the Babcock Trophy. From the outset it was clear that they were on their game. Their forwards, led by skipper Darrell Ball, were powerful in the loose and Jack Prasad was able to pull the Navy defence out of alignment to create space for Nacamavuto, Rokoduguni and in particular Bulumakau in the outside backs. Under pressure the Royal Navy conceded too many penalties and in fullback Owain Davies, the Army had a kicker who could punish Navy indiscretions. The early play was nervy and tense with very little space as both sides clattered in to each other. The Army shaded the kicks at goal to take a 9-3 lead aided by the sin binning of Navy Number 8, Dave Fairbrother, for a late challenge on Jonasa Bulumakau. 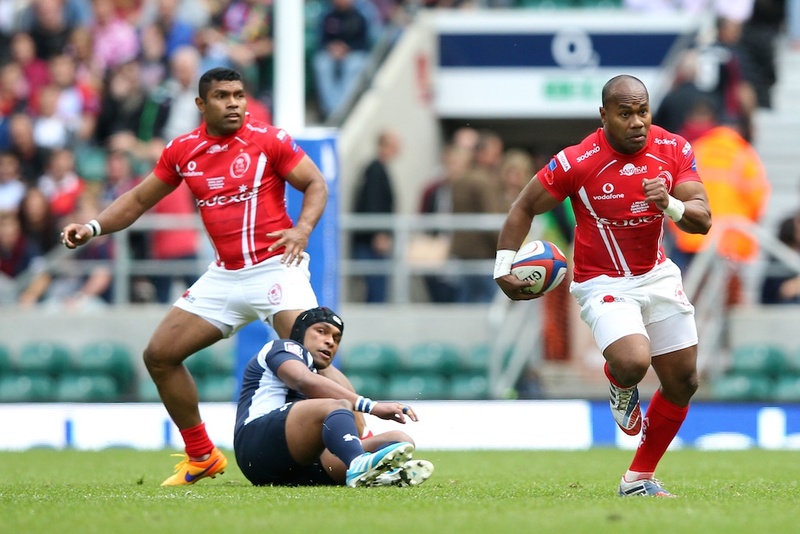 However the Army were gradually getting on top and winning more of the fifty collisions. They were rewarded with the matches opening try through lock forward William Jones. Owain Davies missed the conversion but at 14-3 the Royal Navy knew they had to score next. To their credit, they responded immediately. Nathan Huntley made the half break and the Army conceded the penalty and also field position as the Navy kicked for the lineout. A well formed rolling maul was pulled down, the Navy went to the corner again and this time managed to drive over. Tight-head prop, Josh Terry, was awarded the try, following a TMO review, and with Jon Humphrey landing the conversion the Royal Navy were back in the game. They needed to hold out until half time but were having to withstand some concerted Army pressure. Just when it looked as if they would survive the Army created space on the left flank and William Jones did not need an invitation to gallop through for his and the Army’s second try. Davies was accurate with his kick and at half time the Army were comfortably in the lead 21-10. The Navy needed to start the second half on the front foot. An early penalty kick by Jon Humphrey gave them hope but another needless penalty allowed Owain Davies and easy opportunity to cancel out the Navy’s score. It was then that the game was won for the Army, first by an electrifying break from their England International, Semesa Rokoduguni, and then a delightful team effort finished by man of the match Jonasa Bulumukau. Semesa’s was an individual effort from 40m, finished off under the posts, leaving an easy kick for Davies. 24-13 had suddenly become 31-13 and with the Navy’s last ditch defence working over time the Army had to work had before finding the continuity to put Jonasa in at the corner. The conversion was missed but the game was won. At 36-13 the Navy had no way back. With a number of replacements coming on to the pitch the match now lost a little of its shape as the Army were content to concede possession and defend their lead. Army flyhalf was yellow carded for killing the ball on the goal line and from the resultant pressure the Navy were able to work another try through their effective maul. Ben Priddey, the Navy captain, was the scorer but he knew it was too little too late. 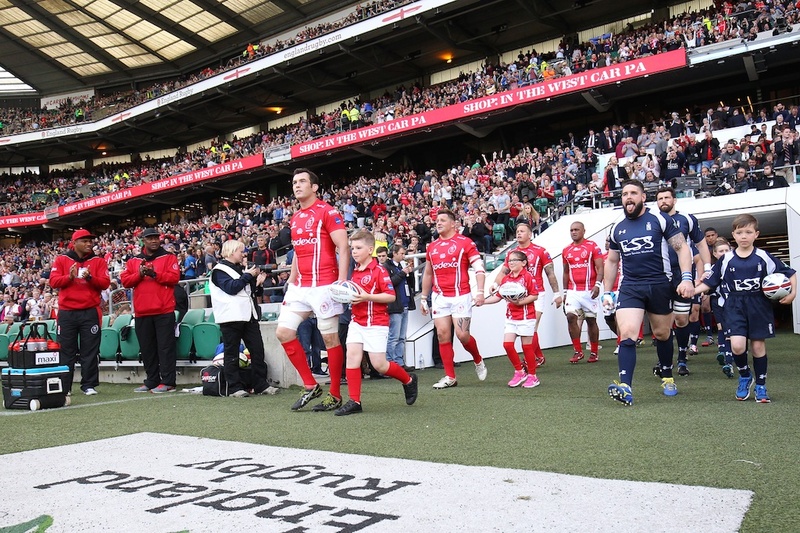 At 36-18 the 81,116 record Twickenahm crowd saw the Army control the ball until the final whistle. 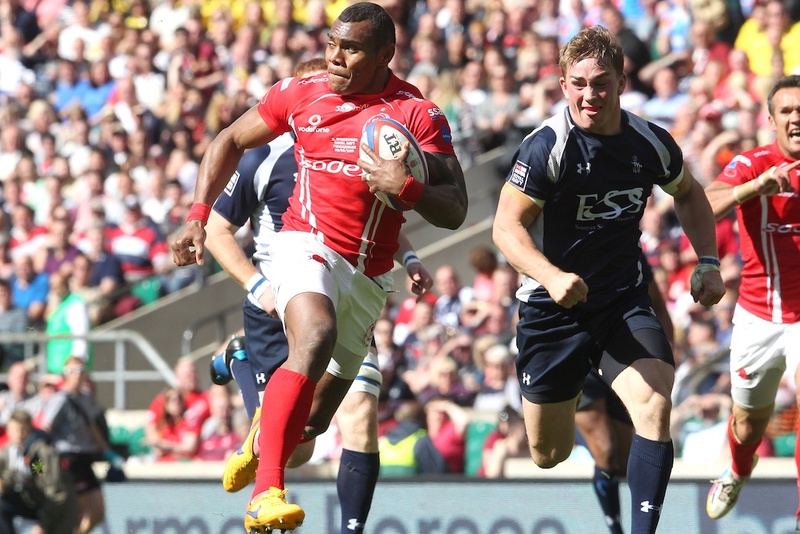 The result gave the RAF the Babcock Inter Services Trophy but for the Army it was result that matters. 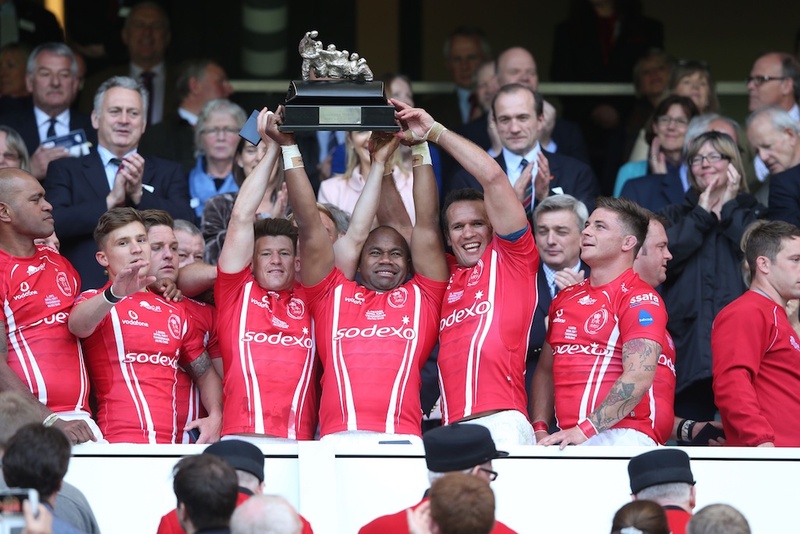 First played in 1907 and being played for the 90th time at Twickenham they may have lost their Championship crown but they had won the Army Navy match, and today that is all that mattered.